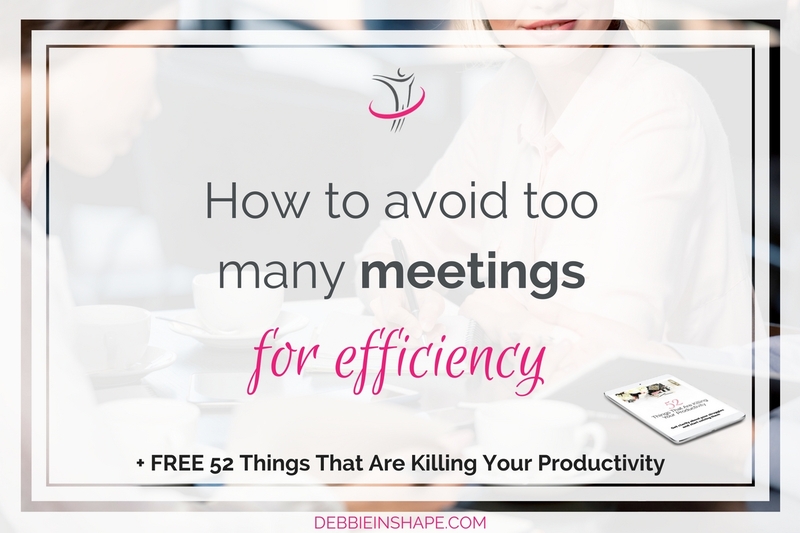 To get your work done, you need to avoid too many meetings. Learn how to be more productive with these 10 tips. 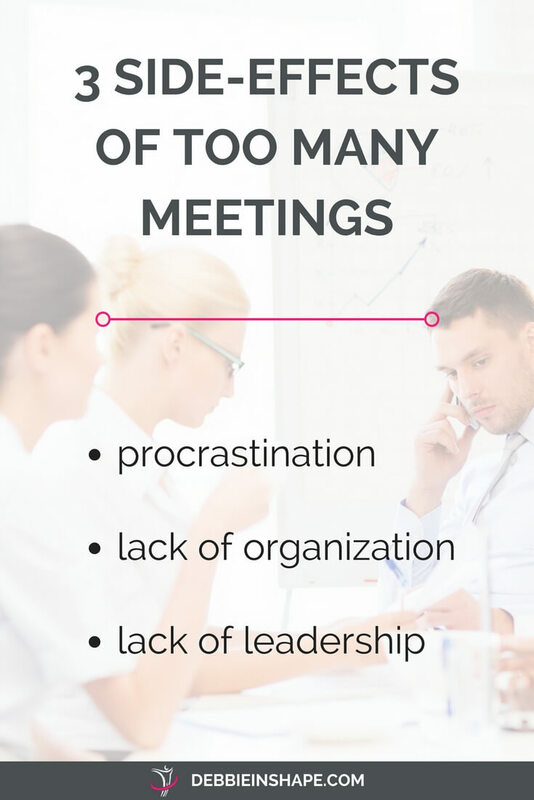 It’s so easy to get caught in too many meetings, isn’t it? In the past, we had to be able to meet in person to have a meeting. Depending on the kind of job and position, it’d imply traveling, extra costs, etc. Nowadays, we can “meet” people anywhere, anytime. And how many abuse of it! There’s nothing bad about meetings themselves. Sitting down with people (physically or virtually) can save a lot of time, email exchange, and headaches. 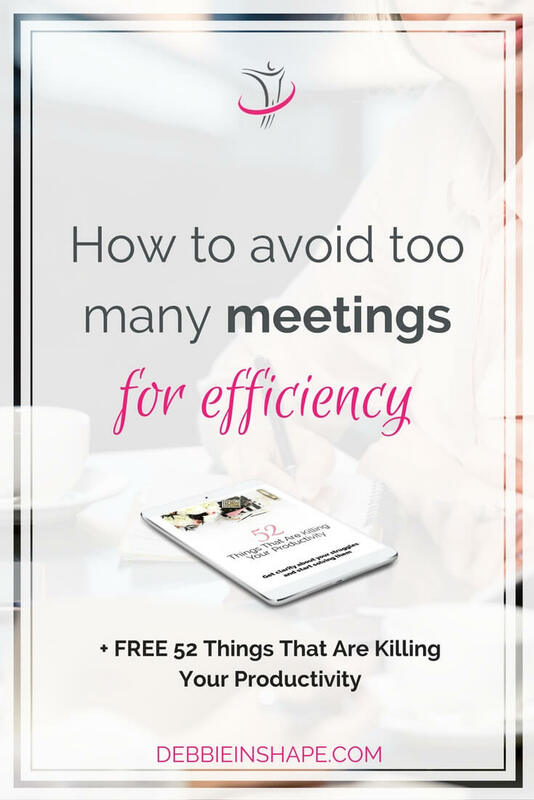 Still, it doesn’t mean we should attend countless meetings just for the sake of busYness. Meetings play an important role in any relationship. Little things that could be avoided with some preparation in advance. Being a leader is more than having a job title. It’s necessary that someone, for better or worse, assumes the responsibility for the planning and execution of the steps of any project. The best way to avoid too many meetings is by taking the most advantage of one’s scheduled. Why having to sit together 2 or 3 when all you really need is one well-planned, efficient, and effective meeting? Define the meeting’s objectives in advance. Limit conversation to meaningful topics. Let your invitees know what they’re expected beforehand. Make your topics clear and tell them what you’ll need from them. Don’t assume that “everyone should know it.” It’s safer to inform them to manage expectations. It’s a meeting, not a party. You don’t have your kids with you when making important decisions about the budget with your spouse, do you? The same approach goes for professional meetings. Invite only key people and make them responsible for sharing relevant information with their peers. Being timely shows how much you value your schedule and the time of all participants. Get ready between 5 to 15 minutes in advance, depending on the type of meeting. If you’ll be late because of last-minute delays, let others know it asap. They also can use the extra time to catch up with other matters. When you’re able to host efficient meetings, everyone will have plenty of time to deal with other matters afterwards. There’s no room for multitasking in effectiveness. Make sure there’s someone keeping track of time from the moment the meeting begins. This will put some healthy pressure on participants to stay focused for the duration of the conversation. The timekeeper needs to be someone who isn’t afraid of calling to order if necessary. While the “leader” is responsible for guiding the progress of the meeting, they can’t do it all alone. Having all participants interact increases accountability and creates an environment open for discussion. Depending on the type of meeting, different house rules are defined to make sure everyone stays focused. For virtual meetings, making the use of camera mandatory is an excellent option. If you want to break the ice with an informal conversation among participants, do it BEFORE the meeting starts. Once the timer is started, be all business. Taking a break once the meeting is over is a lot more pleasant and productive. Meetings should be about agreeing on things to do. All participants must leave it knowing exactly what’s expected from them next time. Short attention span is a reality for most of us. Prolonging a meeting for too long will only cause participants to lose focus and interest. Depending on the goals and on the participants, some of the tips above may or may not apply. 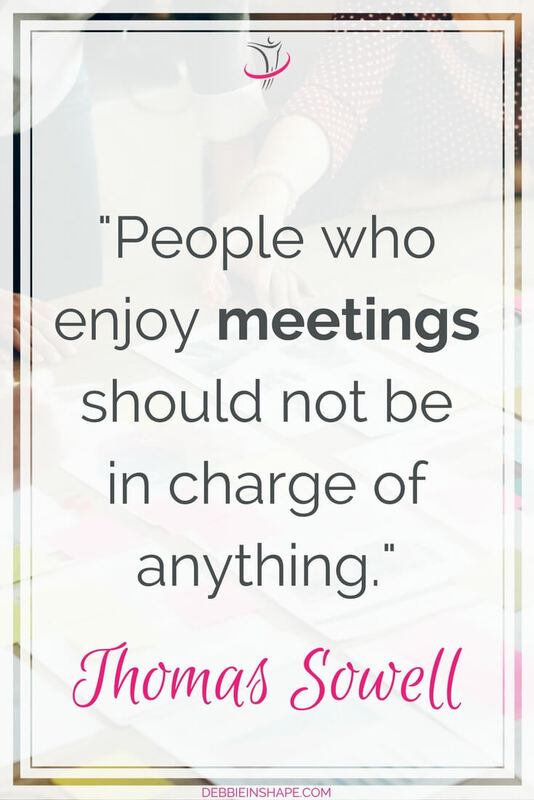 However, keep in mind that meetings are meant to boost productivity, not to kill it. If you aren’t the one responsible for hosting the meetings, don’t hesitate to provide helpful feedback. Great leaders will be glad to listen to positive feedback. 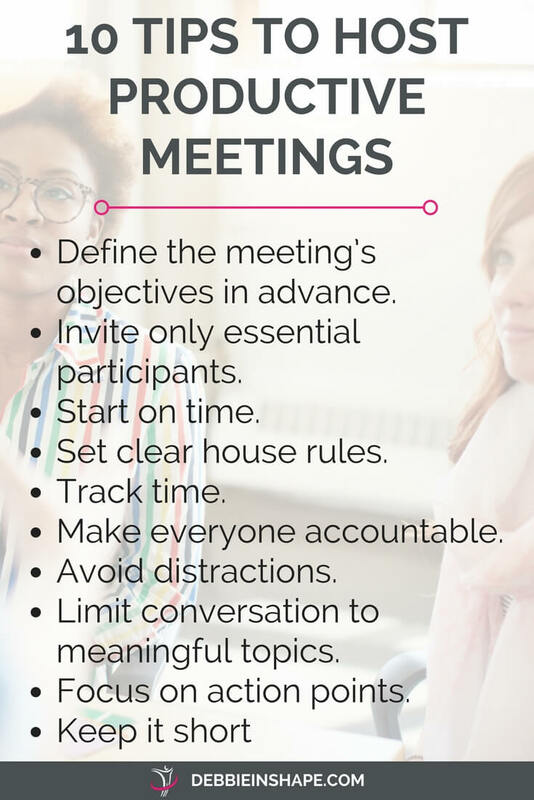 Would like more tips on how to have successful meetings? Join our challenge today.